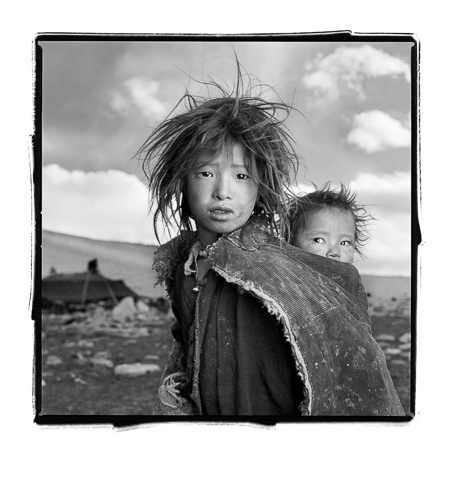 Jigme and Sonam are sisters whose nomadic family had just come down from the Himalayan highlands to their 16,500 ft. winter camp on the Tibetan Plateau. When I gave Jigme a Polaroid of herself she looked at it, squealed and ran into her tent. I assumed that this was one of the only times she had seen herself since her family did not own a mirror.